Most people will have their new tires balanced when they are installed on the car. Some stores will charge for this service , while others will include the cost of balancing the tire in the price of the tire. Whenever you purchase tires make sure you are comparing apples to apples i.e. the cost of the tire and balancing so that you have a true comparison. Many people then forget about their tires and never have their tires re-balanced again, even though there may be abnormal wear on the tires or if there is vibration coming from the tires. Your tires should be rotated every 12,000 km’s and the balance checked at the same time. We will take about this aspect a little bit later. Your mechanic will use a tire balancing machine to find out were the heavy spots are and then attach weights to the rim to counter these heavy spots. Weight can be attached to the inside of the rim as well as the outside of the rim. Proper weights applied to the right locations will eliminate vertical bouncing (static balance) and side-to-side wobble (dynamic balance). If you notice that a weight has fallen off due to hitting a curb or just to age, have your tires balanced immediately to avoid any unnecessary wear to your cars tires and alignment. Why Balance Your Tires At All? During the manufacturing process, the manufacturers will attempt to make your tires and your rims as round as possible and distribute the weight as evenly as possible across the tires circumference. However there are always slight imperfections that make the tire heavier on one side or another. You may not notice this at low speeds, however at higher speeds it can be noticed as a slight vibration. Badly balanced tires will cause your cars tires to vibrate badly and you will actually feel the vibration in the steering wheel or perhaps in the car in general. Have your tires balanced after an accident. Also they should be checked each time you rotate the tires. Slight unbalancing may occur during wear and tear causing vibration to begin in the tires which is passed along to the front end of your cars system and also to the drive train. Far more damage can occur other than just warn out tires. Tires need to be balanced when they are first installed to correct for slight imperfections in terms of the weight that is spread around the tire and the rim. The tire is always balanced only after it is installed on the rim and fully inflated. Tires should also be rebalanced or at least checked when you rotate your tires ( see post on Tire Rotation ) . If you hit the curb badly or a large object on the road, you may also need to have your tires check again for proper tire balance. You should also have them checked any time you notice vibration from your tires. If you do not have your tires balanced, not only do you have to endure the vibrations, your tires will wear out prematurely and you could wear out parts on your cars drive train and steering system. If you have comments about balancing tires please feel free to leave them. All constructive and helpful comments about tires will be approved along with a link to your web site if you provide it. We are looking to add information that our readers will find helpful. For much more information about tires and tire maintenance, click here. Summer is just around the corner. Many people are planning their summer driving trips to the cottage, to theme parks , to camping sites and visits to the family. The summer time is harder on tires than other time of the year. This is due to the higher temperatures and often heavier loads due to more people and luggage in their cars. Is Your Vehicle Ready for summer vacation travel? Follow your cars instructions for checking all of these items in a safe manner or take your car to an auto mechanic or your dealer for a complete checkup. Have your mechanic check your tires next time you go in for an oil change. 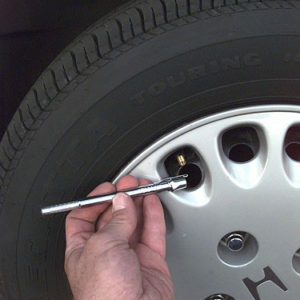 If one is not due, it is easy to check the tire pressure yourself with a tire pressure gauge. Top up the air pressure to the vehicle specs if you find that the tires have low tire pressure. If your car has a tire pressure monitor on it, don’t rely on this for optimum tire pressure. The alarm in your dash will turn on if your tire is losing air and drops several pounds of pressure. If your tire is down 2 or 3 pounds it will not show up on the dash of your car. 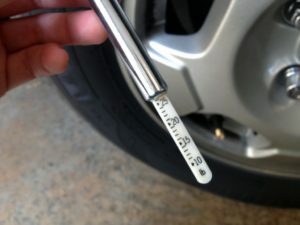 Recently some of the newer cars are more accurate and will even tell you when the cars tires are over inflated which can be just as dangerous as an under inflated tire. 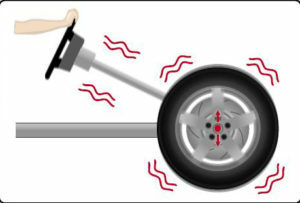 Both situations can decrease stability and cause the tire to over heat which may cause it to blow out. At high speeds a serious accident can easily take place. If your car is out of alignment, you will notice uneven wear on your cars tires. This is dangerous and can lead to the car pulling on one direction or the other and your tires wearing out much more quickly. Have your alignment checked before you go on any further trips. Unbalanced tires or tires that have lost their balancing weights, will vibrate at various speeds. You can feel this vibration in the steering wheel. The tires will also wear unevenly making the situation even worse. In fact if you wait too ling, you will not be able to balance the tires properly and will need to purchase new tires to fix the problem. Preventive maintenance that we have discussed above will ensure that your car runs well, gets great gas mileage and that your family should have a successful trip. Why avoid or delay when failure of one of your tires could cause an accident and ruin your trip. For more information about tire safety and tire performance, click here. Everyone usually takes their tires for granted. 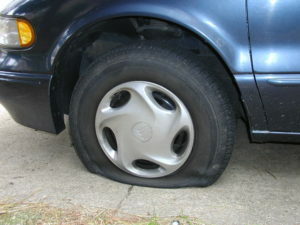 Usually, your car’s tires are ignored as long as they are working fine and do not appear to need additional air in them. Check Your Tires regularly. In fact, many people do not even check their tires on a regular basis. Even though everyone knows that a properly inflated tire will deliver maximum gas mileage as well as being safer to drive . Most people would not even know what their condition is until they experience a flat tire or a tire blow up. Some will not even notice the lack of control that you have when a tire is slightly below normal tire pressure. Many newer high end cars now have tire pressure monitoring systems as standard equipment. These are excellent warning systems when tires are low on air pressure, yet not obvious to the naked eye. Your car’s tires are one of the most and often times ignored parts of your vehicle. They are also one of the most vital parts of your vehicle, even compared to your car’s other vital parts such as brakes and the engine. Tires provide stability at high speed. They provide traction in snow, ice and even water covered roads. They are designed for your car’s size and weight. Your tires are designed to deal with the majority of road conditions most drivers encounter. They do all of this as long as they are properly inflated. With good tires and properly inflated tires, you can control your car better. But with tires that are already worn down, you might find driving to be more dangerous and could lead you to accidents or collisions. For example bald tires in wet conditions will tend to hydroplane, which means they will float on the water and lose all traction and control. You can skid off the road very quickly in these conditions. Bald tires on ice or snow are even worse! They will slip and slide on even the slightest amount of snow or ice. Tires may seem to be insignificant to many drivers, but the designers and engineers of tires work to the best of their capacities and capabilities to create tires that help car drivers and owners be safe on the roads. 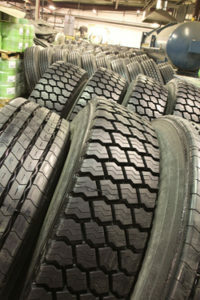 In fact, did you know that there are tires that can be actually created as per your preferences as the driver. Some factors that you can have customized are tread design, the inner cord structure, the tire profile, rubber compounds to be used, load rating, and even the tread life. With these in mind, you now know why your car’s tires are very essential. Keeping your tires in good condition would help to ensure that your car wheels are delivering optimum performance. And if you need to replace your car’s tires, automobile experts suggest that you should try, as much as possible, to replace these tires with the same kind of tires that were fitted to your vehicle when it was purchased from the dealership. You can find the tire specifications in your car owner’s manual as well as on the side wall of the tire. The dealer or tire shop such as Canadian Tire in Canada or America’s tire in the US can also help you with the correct tire size for your car. 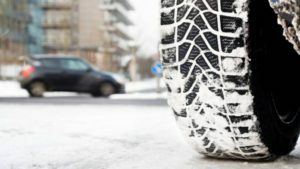 Most people will use all season tires which are fine unless you get into heavy snow conditions in which case proper snow tires are really required. Consumers will even purchase additional steel rims for the snow tires so that they are easy to change in the fall and spring. Regardless of what kind of tire you have on your car, it is a good idea to get into the habit of checking the tire pressure on a regular basis to ensure a safe smooth ride as well as optimum fuel economy. Feel free to leave comments about check your tires Regularly or any other subject related to tires.